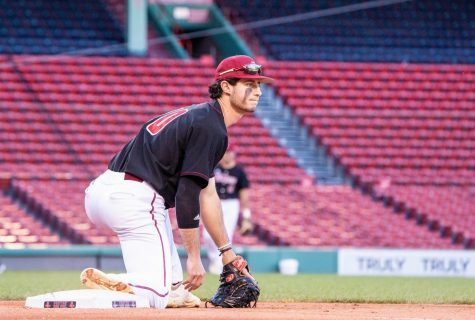 The Massachusetts baseball team began Atlantic 10 play on a positive note this weekend with a three-game sweep over Dayton. After starting the season 0-5, UMass coach Mike Stone said the Minutemen (3-5, 3-0 A-10) made notable strides against the Flyers. 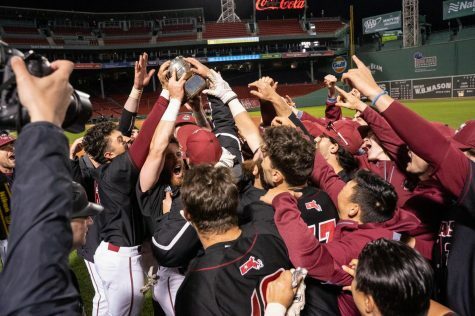 UMass closed the series on Sunday in dramatic fashion, winning 10-8 in 12 innings after blowing an early 7-3 lead. The Minutemen took the lead for good in the top of the 12th after Bryce Maher hit a two-run single with the bases loaded. 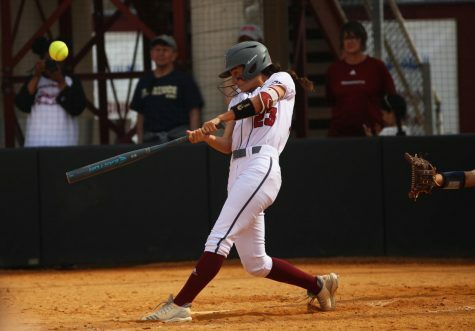 Before finding success in extra innings, UMass headed into the eighth inning with a three-run lead, but the Flyers tied the game 7-7 in the bottom half behind two bases-loaded walks and a fielder’s choice. Both teams failed to score in the ninth. Minutemen second baseman Rob McLam restored UMass’ lead in the 10th with an RBI single. But yet again, Dayton responded and tied the game with an RBI single from Sergio Plasencia in the bottom half of the inning. Sunday’s victory marked UMass’ third win in as many days. Stone said he believes this series could lead to a string of momentum for the Minutemen. According to Stone, UMass’ biggest improvement this weekend was in offensive production. 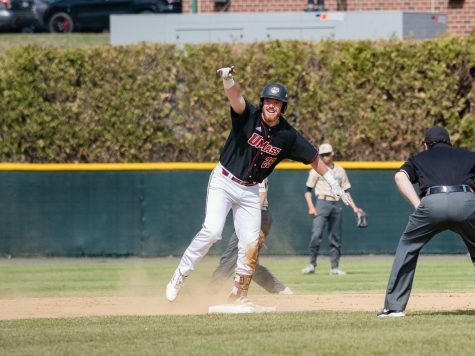 The Minutemen averaged just three runs per game through their first five losses. 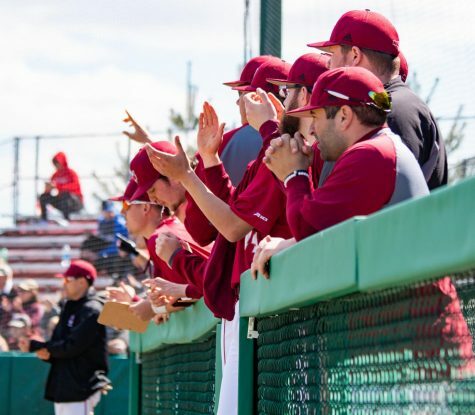 However, UMass averaged more than eight runs in their three wins against Dayton. “A lot of people got on base which led to a lot of opportunities and a lot of people came through when we needed it,” Stone said. 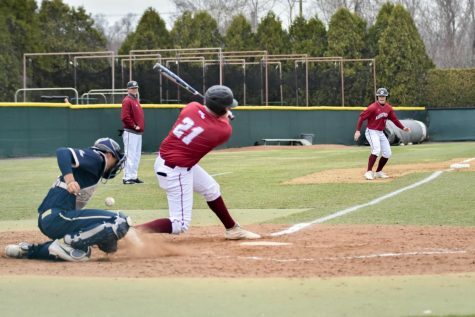 The Minutemen put on a hitting clinic in their second game on Saturday, recording 17 hits in an 11-3 route. 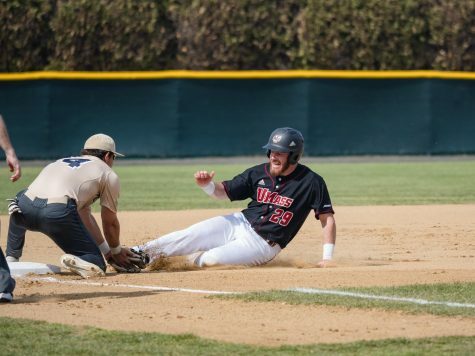 UMass’ success started early as it scored four runs on five hits in the top of the first. The Minutemen never trailed. Already leading 1-0 three batters into the game, UMass extended its early advantage to 4-0 thanks to four consecutive singles by Adam Picard, Vinny Scifo, Matt Bare and Paul Yanakopulos. The Minutemen added to their lead in the third when freshman Hunter Carey singled to center and drove home two more runs. 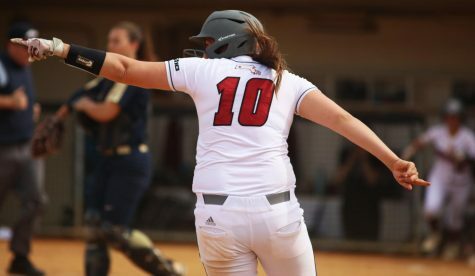 Dayton cut its deficit to 6-2 in the bottom half of the inning but UMass promptly responded the next frame with an RBI single from Picard, who later scored off a wild pitch. 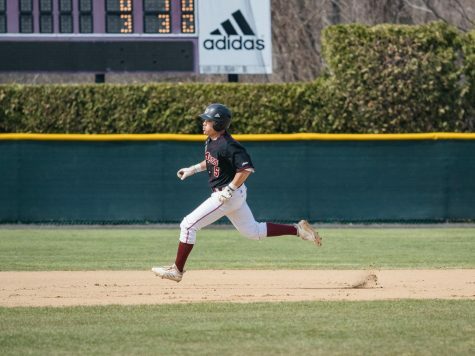 The Flyers scored one more run in the sixth before the Minutemen further cushioned their lead with a run in each of the final three innings. Kyle Adie led the way offensively, finishing 4-for-6 at the plate with a double and an RBI. 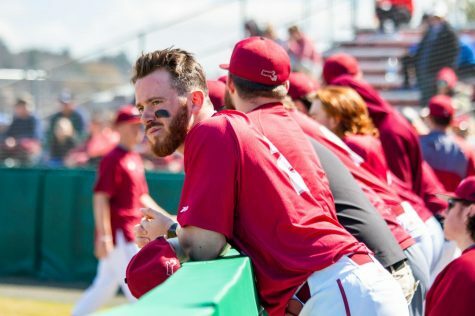 Nine different batters recorded hits for UMass. Sophomore Ryan Maloney had a solid outing on the mound, pitching 62/3 innings and limiting Dayton to three runs on seven hits. He struck out a career-high seven batters. Evan Mackintosh finished the game, holding Dayton hitless over the last 21/3 innings. In Friday’s matchup UMass defeated Dayton 5-0 to claim its first win of the season. “It was a good feeling to finally get a win,” Stone said. “It’s always good to get the first win out of the way. Connor LeBlanc threw eight shutout innings for the Minutemen, allowing two hits and two walks while striking out seven Flyers. Picard put the Minutemen on the board with a two-out double in the top of the fifth to drive home Yanakopulos and McLam and give UMass all the run support it needed. Picard finished the day 2-for-4 with two RBIs. Bare added to the Minutemen’s offensive success with three hits, an RBI and a run scored in five at-bats. The sophomore doubled with one out in the fifth and later scored off a Yanakopulos single, extending the lead to 3-0. Then after Adie scored on a wild pitch in the top of the seventh to make it 4-0, Bare added an insurance run, driving home McLam in the ninth with a two-out single. The Minutemen return to action Tuesday as they try to extend their winning streak to four against Holy Cross.